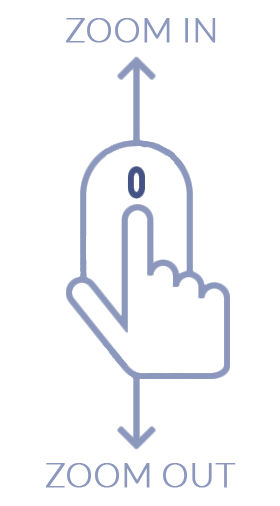 Total Carat Weight: 0.58 ct. 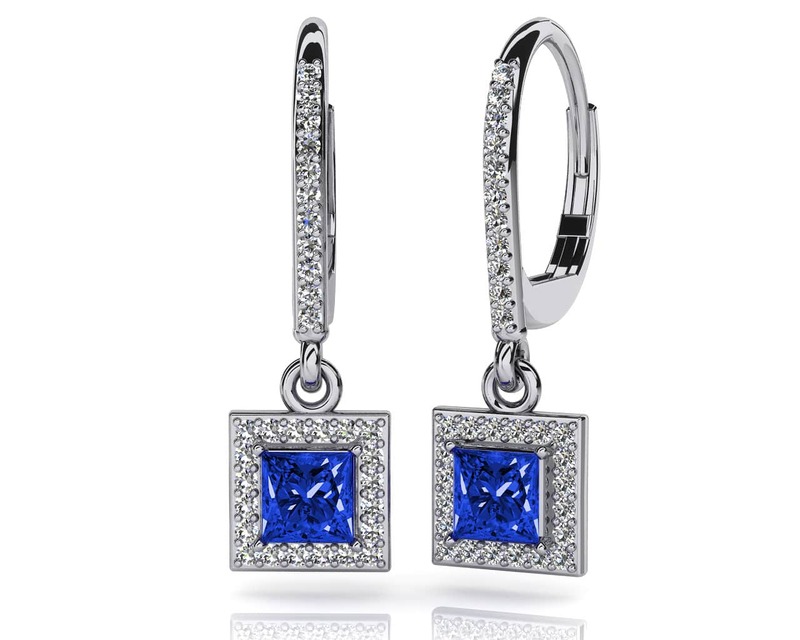 These diamond and gems drop earrings feature a diamond lined lever back with a square shaped drop portion below. 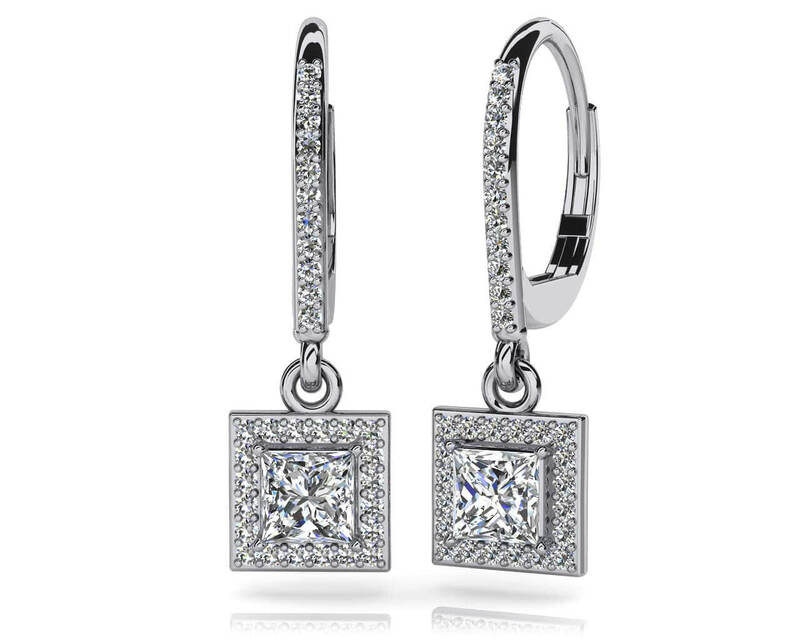 The drop portion contains a stunning princess cut gemstone bordered by dazzling round diamonds. A secure prong setting holds each stone in place. Customize in gold or platinum, with favorite gemstones and choice of 4 carat sizes including .58, 1.21, 1.62, and 2.11. Model Carat Weight: 0.58 ct. Effective Carat Weight: 0.58 ct.
Stone Carat Weight: 54X.005 ct., 2X0.155 ct.